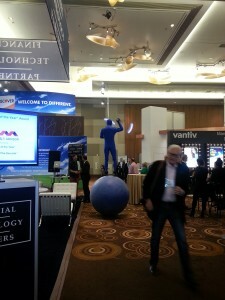 Members of the ROAM team spent the better portion of last week at Money2020 in Las Vegas. As the chilly October breeze creeps over ROAM’s headquarters in Boston, it’s a chilly reminder that we’re no longer in the desert sun and it’s now officially time to reflect on last week’s conference. For those who missed out on this year’s show, we've got you covered.  For the second year in a row, Money2020 has proven to be one of the most talked about conferences in the payments industry. The conference definitely lived up to the hype, with over four thousand attendees and exhibitors sharing the conference floor, while performers in blue bodysuits wandered on giant spheres and dancers swayed on hoops hung from the ceiling. With over 100 sessions, many of us kept close track of the agenda as to not miss out on any noteworthy events or sessions. Some of the key discernible themes throughout the event included security, mobile payment acceptance, value added services such as loyalty programs and offers, international complexities and customer experience. Dozens of panels, keynotes and sessions covered these topics, and it seemed as though each and every company had its own unique take. Attendees were buzzing with excitement over some of the announcements that took place throughout the event. One that garnered a lot of attention was the formation of The CardLinX Association, an alliance formed by Microsoft with Bank of America, Discover, Deem, Facebook, First Data Corp., Linkable Networks Inc., LivingSocial, MasterCard, Affinity Solutions Inc., CardSpring Inc. and Cardlytics. 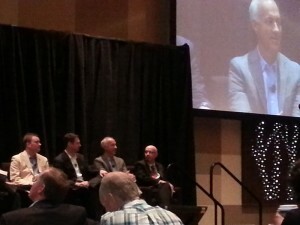 A number of other exciting new technologies debuted during the Launchpad360 sessions. SimplyTapp, FastPay and Lenddo are just a few of the companies that were especially impressive. After navigating through a jam packed agenda, attendees were eager to unwind at the poolside reception that was sponsored by Financial Technology Partners and PayPal. The highly anticipated event provided a casual atmosphere that allowed attendees to freely network while grazing hors d’oeuvres and listening to music. 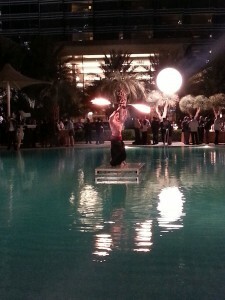 In typical Vegas fashion, there were even fire dancers and contortionists performing in and around each of the Aria’s luxurious pools. 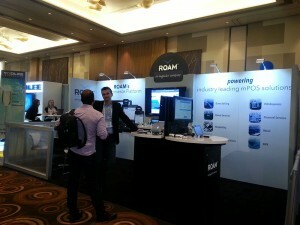 Not only was ROAM a 3 star sponsor of Money2020, but our team also had a significant presence throughout the event. The booth had a constant flow of traffic, with attendees eager to see live demonstrations of ROAM’s latest and greatest mPOS solutions. ROAM CEO, Ken Paull, participated on a panel titled, “Retail POS & Acquiring Innovations: Aggregation, Evolution & More” alongside executives from J.P. Morgan, Bank of America Merchant Services, Heartland Payment Systems and Merchant Warehouse on Tuesday afternoon. Along with the other executive panelists, he discussed how the current leaders in POS are preparing for the future of commerce. On Thursday morning, ROAM and SUBWAY® restaurants presented a session to discuss how quick service restaurants are capitalizing on the mPOS opportunity. During the session, representatives from both companies discussed how SUBWAY will leverage ROAM’s mPOS solution to provide its franchisees with business continuity, new revenue streams and the opportunity to extend its brand reach beyond the store. After five long days in Vegas, we returned to Boston with innovative ideas, new partnerships in the works and even bigger and better plans for next year’s conference. While the ROAM team felt that the show was a huge success, we would love to hear your thoughts on this year’s conference. Which new technology surprised you the most? Any events you wish you made it to? Leave a comment and let us know.